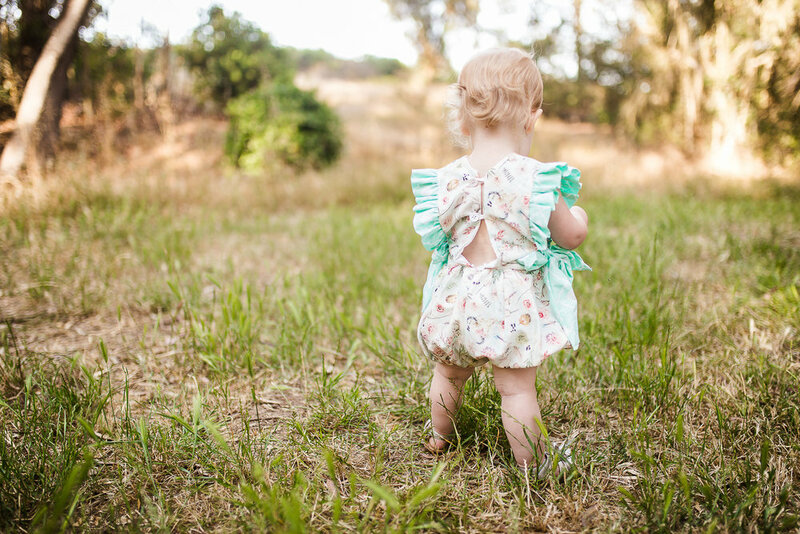 A few weeks ago a woman named Danielle posted in a Facebook group of creative entrepreneurs called The Rising Tide Society (RTS) that she needed a baby girl who wore 12-18 month clothes to model a romper for her (and oh mah goodness it's adorable!). There were at least a hundred comments with pictures of adorable kids by the time I saw the thread but figured putting my Allie Cat's picture in the running couldn't hurt anything. 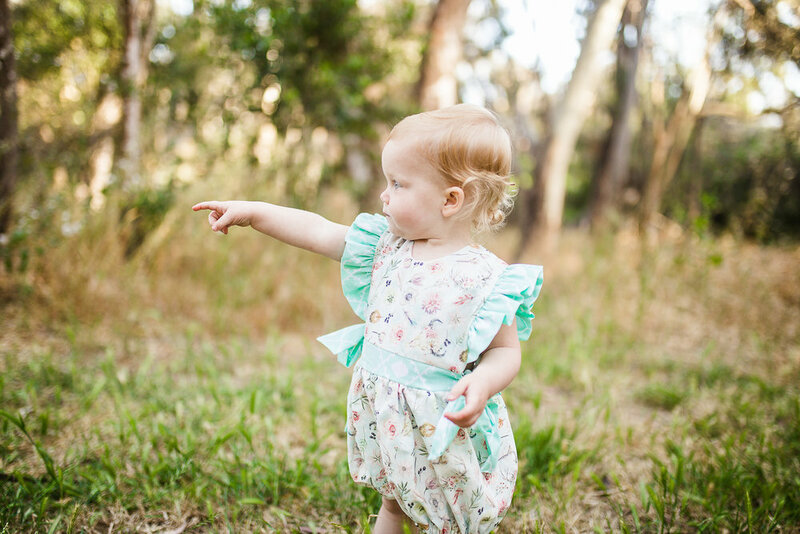 A couple of days later I had a message from Danielle asking if I was still interested in swapping the adorable romper she made for some product photos! Eeeek!! My little strawberry blondie got picked! 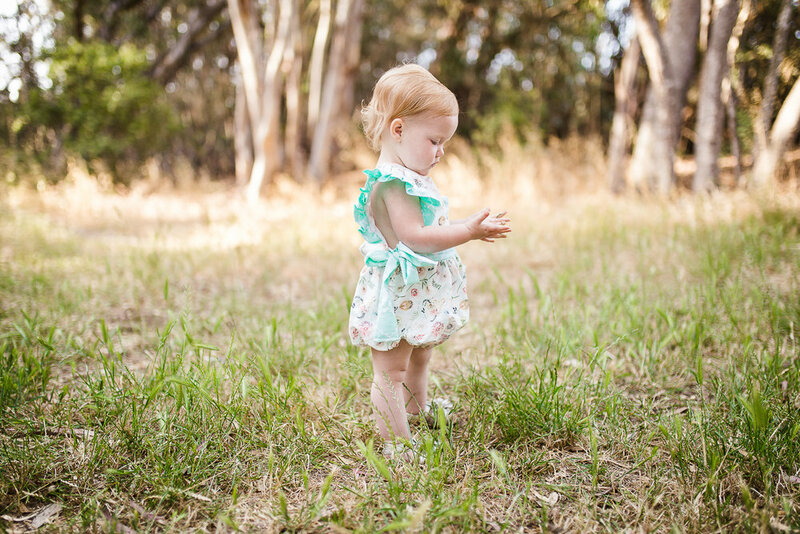 I was so so so excited to get the romper in the mail- the quality is amazing and the prints that Danielle mixed are perfect. 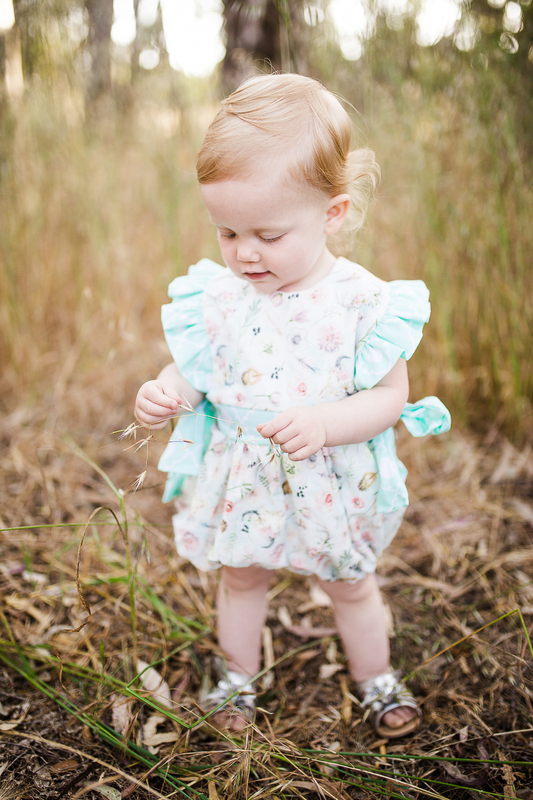 The colors compliment Allie so well and she looks like a little doll in it (if I do say so myself!). If you'd like to see more of Danielle's work check out her Facebook Page Bobbins & Stitches and give her some love! I'm so excited to see more work from her and hope to partner up again in the future!